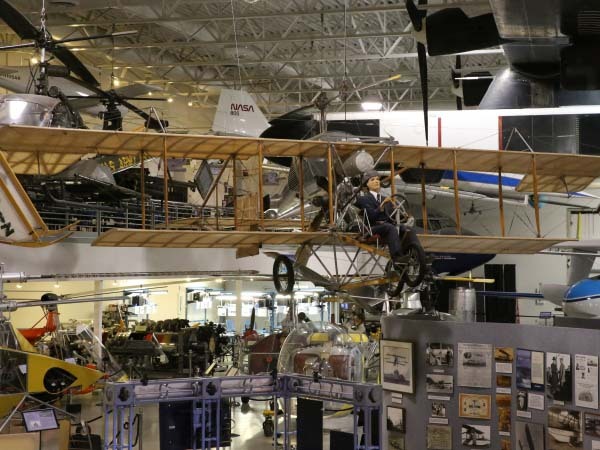 The one-of-a-kind Little Looper is a Curtiss-style pusher biplane built by a team working under exhibition pilot and San Francisco native Lincoln Beachey. 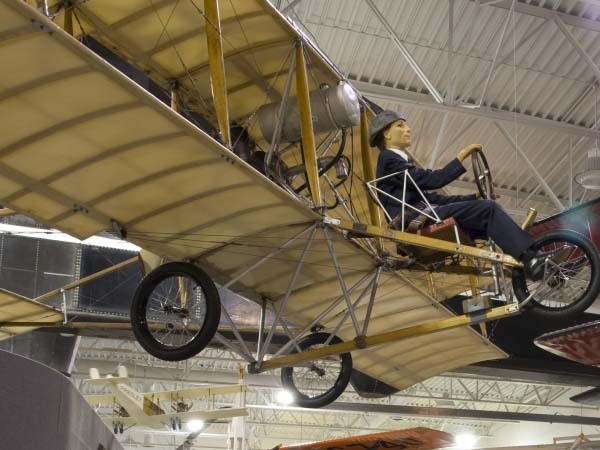 The aircraft’s heritage flows from the life story of its creator and pilot, Lincoln Beachey, who by 1914 had been named by none other than Orville Wright as the world’s most outstanding aviator of the age. Lincoln Beachey grew up racing bicycles down the hills of his hometown. At eighteen he learned to fly powered airships, and experienced his first taste of the aviation spotlight piloting a dirigible at the Lewis & Clark Centennial Exposition in Portland, Oregon in 1905. A year later he made an unauthorized but well-received landing on the White House lawn. Beachey piloted one of six airships flown at the Dominguez Air Meet of 1910, the first public flying exhibition held in the United States. For Beachey, Dominguez provided a life-changing humiliation. Beachey raced a fellow airship pilot around a closed circuit course and won decisively, yet there was little opportunity to savor the triumph. 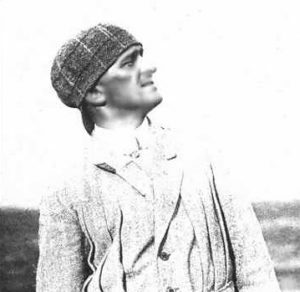 During the race, French aviator Louis Paulhan took flight in a Farman monoplane. Paulhan had shown a penchant for showmanship throughout the meet, dazzling the crowds with maneuvers more daring than the conservative routines flown by other pilots. As the airship race drew to a close, Paulhan swooped down and circled merrily around the lumbering dirigibles. After a brief retirement in 1913, Beachey returned to the air to master the inside loop, a maneuver first mastered by a French aviator. Spurred on by national pride and the spirit of competition, Beachey directed Curtiss to design and build a reinforced airplane able to sustain the forces of a loop. 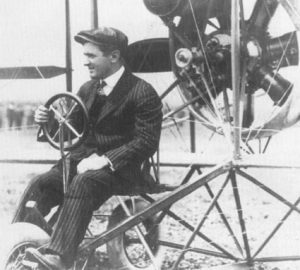 Beachey completed his first loop in November 1913. Despite this, Beachey was not satisfied. His airplane was structurally reinforced to stand up to the forces of aerobatics, but its engine would stop running when inverted. In early 1914 technology advanced and Beachey travelled to France to acquire a pair of Gnome rotary engines. This innovative design was composed of seven cylinders arranged in a circle around the propeller shaft. When running, both the 80-hp engine and the propeller whirled around. The Gnome operated equally well upside down as right side up. Beachey directed his crew to install a Gnome engine in his newest airplane, giving rise to his “Little Looper”. On tour throughout the United States, Beachey conducted many flights over the rest of the year, expanding his repertoire and exposing millions of people to aviation. Beachey’s reputation had swelled across North America as a result of his demonstration flight. Tens of millions of Americans saw Beachey fly the Little Looper through its aerobatic routine, captivating communities with the wonder and promise of aviation from coast to coast. As a “headless” Curtiss-type pusher with no forward-facing horizontal stabilizer, the Little Looper afforded Beachey an exceptional perch exposed at the front of the airplane, with unparalleled visibility and a strong feel for the airstream in any maneuver. In early 1915 Beachey began flying his design team’s newest creation, a sleek monoplane dubbed the Taube, or dove. Beachey had been drawn to monoplanes since his humiliation at Dominguez in 1910, as they had less drag and greater speed than biplanes. The Taube was a beautiful aircraft and proved significantly faster than the Little Looper, making for more spectacular maneuvers. It also featured a tractor propeller arrangement, considered safer than the traditional pusher configuration. However, the new design also moved the pilot from the very front of the plane, exposed to the slipstream, to a protected cockpit behind the motor. While an improvement in most ways, it was a different experience for a pilot as closely attuned to the movement of his plane through the air as Lincoln Beachey. On March 14th, 1915, Beachey flew his Taube in a special routine offshore from San Francisco. 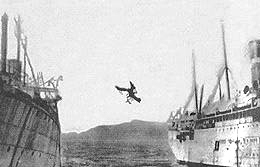 In a rapid decent he pulled out too quickly, and the Taube’s wings collapsed from the load. Remarkably, corner reports indicate that Beachey survived the initial impact despite the terrific speed, but drowned before rescuers could reach him. Lincoln Beachey died as the leading aviator in the nation that gave birth to the airplane, and was accorded the largest funeral in San Francisco’s history. Yet today he is largely unknown, overshadowed by the heroes and technologies of World War I. He represents in many ways the best of the early days of aviation—exceptional skills as a pilot and mechanic, dedicated to both advancing and popularizing the science of flight. The Hiller Aviation Museum proudly displays the original Little Looper, preserving a true Northern California legacy in flight.